TPSM Board members and volunteers discuss fundraising and outreach opportunities. Thank you to all those who attended our January Suppers for Suffragists fundraising event on January 29, 2015 at California Tortilla in Crystal City, Arlington, Virginia, and a special thank you to the managers and staff at California Tortilla for their generosity and support in hosting our guests. It was wonderful to see so many people there, despite the inclement weather, to support the Turning Point Suffragist Memorial. 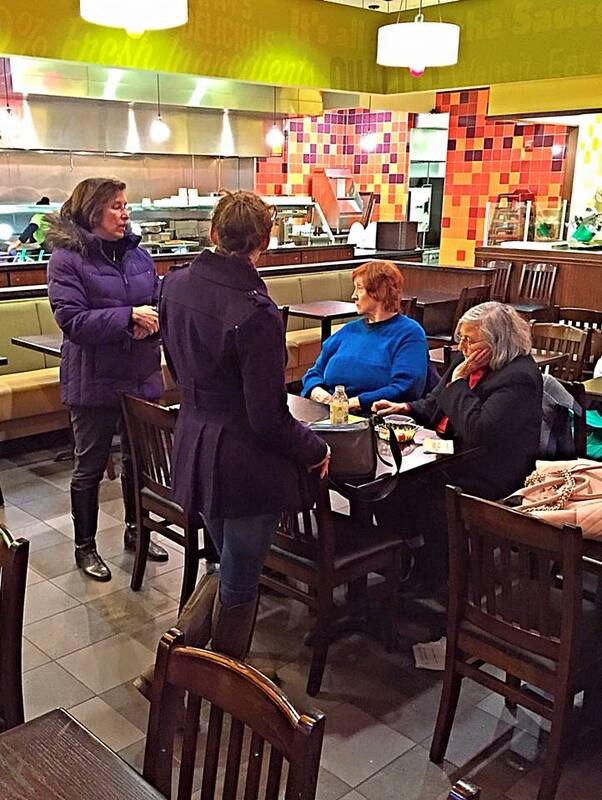 We look forward to future events, including our next Suppers for Suffragists fundraiser on Thursday, February 26, 2015, from 11AM to 4PM at Panda Express at the University of Maryland – College Park campus.